Our goal was to compare a larger city such as Knoxville with a smaller city such as Oak Ridge. We wanted to focus on large structures and objects that would help us to compare the two cities in terms of population density and industrialization. We measured the land area occupied by three types of things: buildings, parking lots, and everything else. 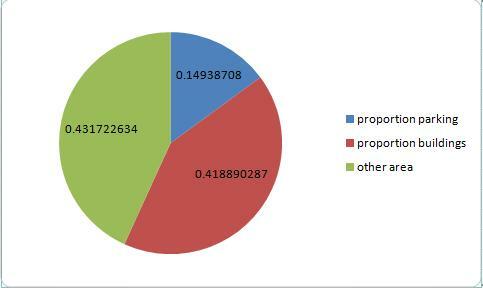 We created a pie chart to help describe what proportion of the land area is occupied by these things. 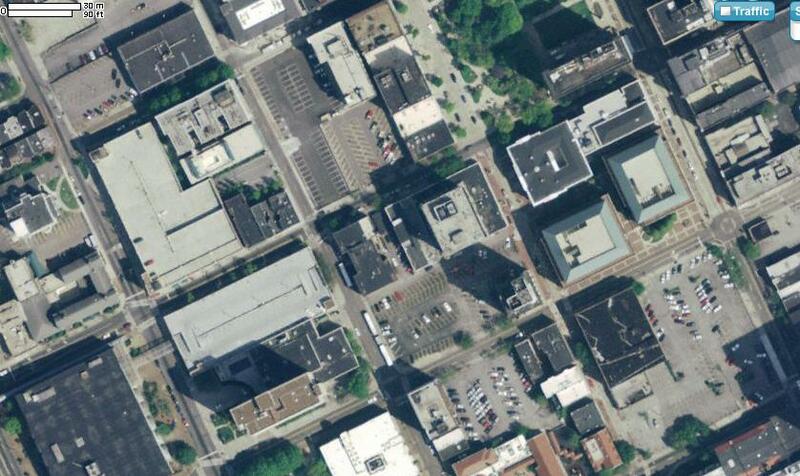 We hypothesized that Knoxville would have a higher proportion of its space occupied by buildings and parking lots because of its higher population density and industrialization. Our hypothesis was largely supported by the data. Knoxville did have a greater proportion of its land area occupied by buildings. The difference in area occupied by parking lots was small. 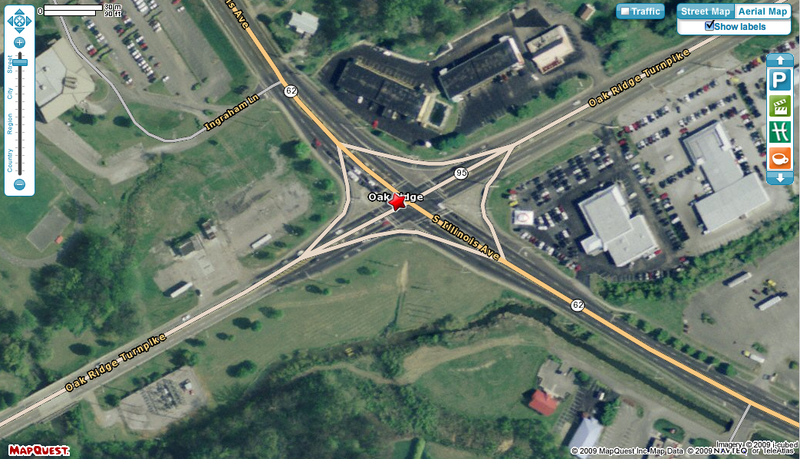 Oak Ridge had much more of its land area occupied by other things. We believe further that further observation and analysis may reveal that this other area is composed mostly of open undeveloped land.